63 Washington Construction Workers Died from Falls Between 2000 and 2015 (753 KB PDF). A Fifteen Year-old Worker was Killed After he Fell From the Roof of a Building While Helping Wash its Windows (120 KB PDF). Crane Operator Falls While Descending Crane: SHARP (FACE) publication (62 KB PDF). Falls from Elevating Work platforms (455 KB PDF) (Hazard Alert). Ironworker Falls Through Roof Opening (35 KB PDF) / Trabajador siderúrgico se cae por una abertura del techo (29 KB PDF) (Spanish version). Roofer Falls from Roof After Un-clipping from Lifeline (48 KB PDF). Roofing Fall Injury (Serious Injury Investigation Story). Temporary Construction Worker Dies After Falling from A Scaffold Plank in Washington State (625 KB PDF). Tree trimmer dies after falling from crane hook (DOSH Fatality Bulletin) (735 KB PDF). Fall Protection Requirements for Construction - Module A: Overview. Fall Protection Requirements for Construction - Module B: Fall Protection Required at 4 feet or more. Fall Protection Requirements for Construction - Module C: Fall Protection Required at 10 feet or more. Fall Protection Requirements for Construction - Module D: Fall Protection Systems Specifications. Fall Protection Requirements for Construction - Module E: Other Specifications. Construction Checklist - Safety (F418-055-000). Fall Protection Can Save Your Life (www.worksafebc.com). Operating Aerial Work Platforms Safely. 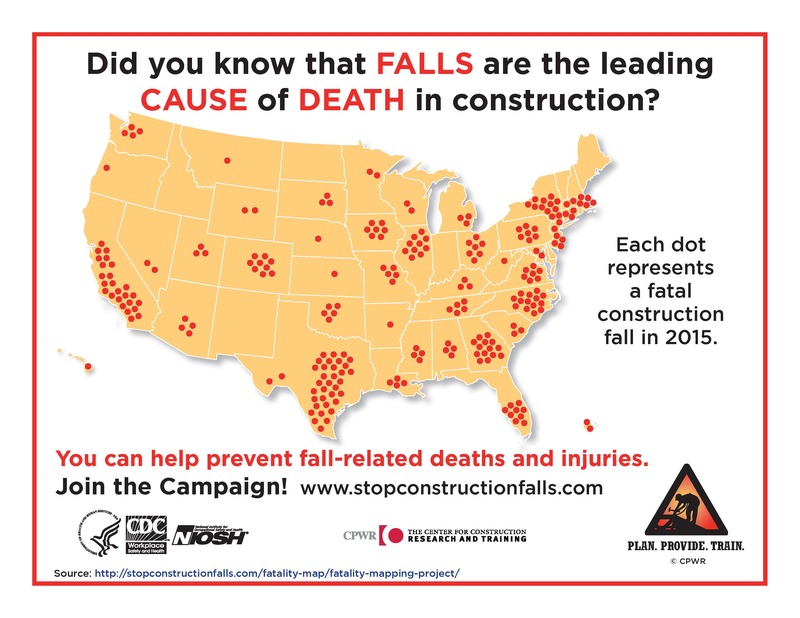 You can help prevent fall-related deaths and Injuries (stopconstructionfalls.com).